There are a lot of big Oscar contenders out in theaters right now that critics have seen and discussed, and even more that premiered at festivals that will be out there soon enough. But there's one enormous question mark in this year's Oscar race, and it has Steven Spielberg's name on it. The director has two films coming out in December, but only one of them seem to have awards glory written all over it, and it's War Horse. 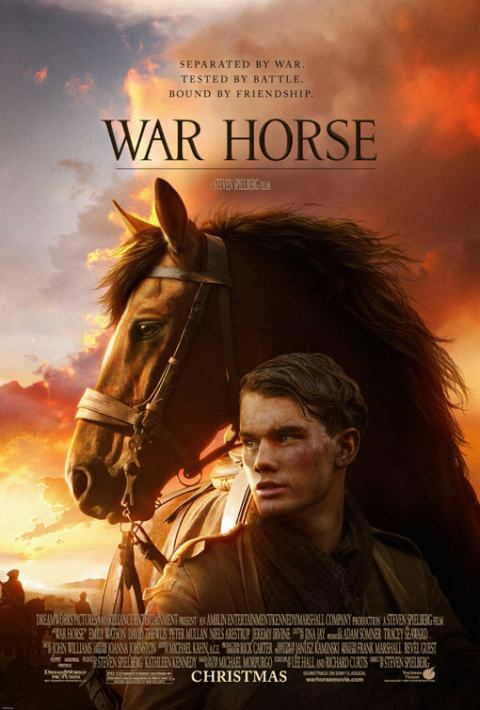 An adaptation of the bestselling book that inspired the massive hit play, War Horse is a relatively simple story about an English farm boy whose beloved horse is shipped off to help fight World War I; the boy enlists soon after and hopes to reunite with his horse somewhere on the Western front. If you've seen the epic trailer you know War Horse looks like a tearjerker the size of Titanic, but based on the new poster that debuted today at EW, they're aiming for a different famous epic. Take a look below and see if you can guess which. I can't be the only one getting Rhett Butler and Scarlett O'Hara Gone With The Wind vibes from this poster, right? Not that there's anything wrong with that-- if War Horse has a fraction of the epic sweep, huge emotions and irresistible melodrama that Gone With The Wind did, we've all got something to look forward to in theaters this December. 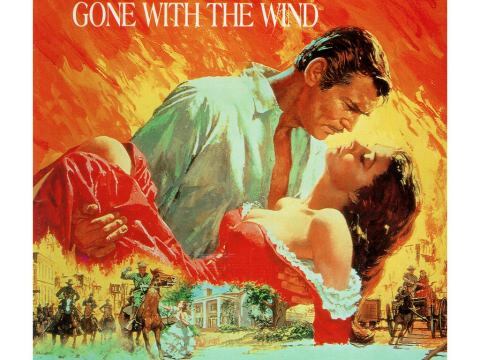 Take a look at the Gone With The Wind poster to see what I mean, and try not to anticipate War Horse too much-- it's not in theaters until December 28.